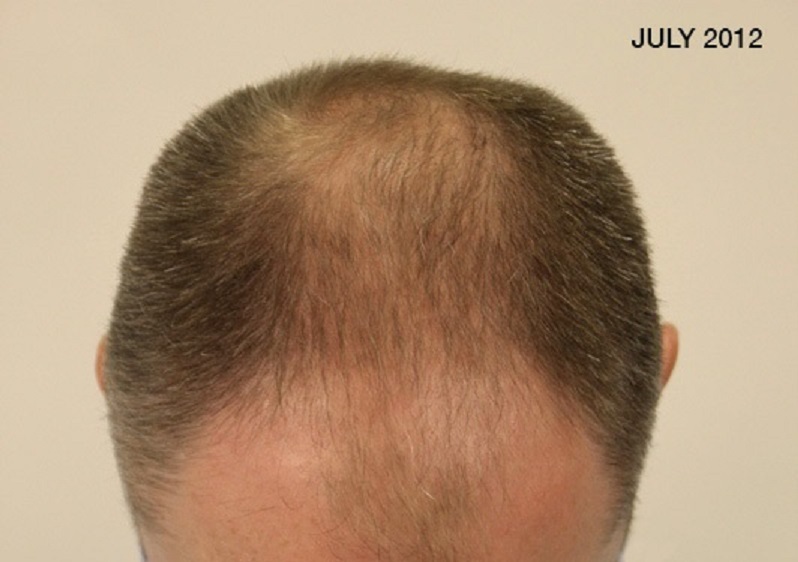 Here is a higher NW patient with his result from his Rahal FUE procedure. 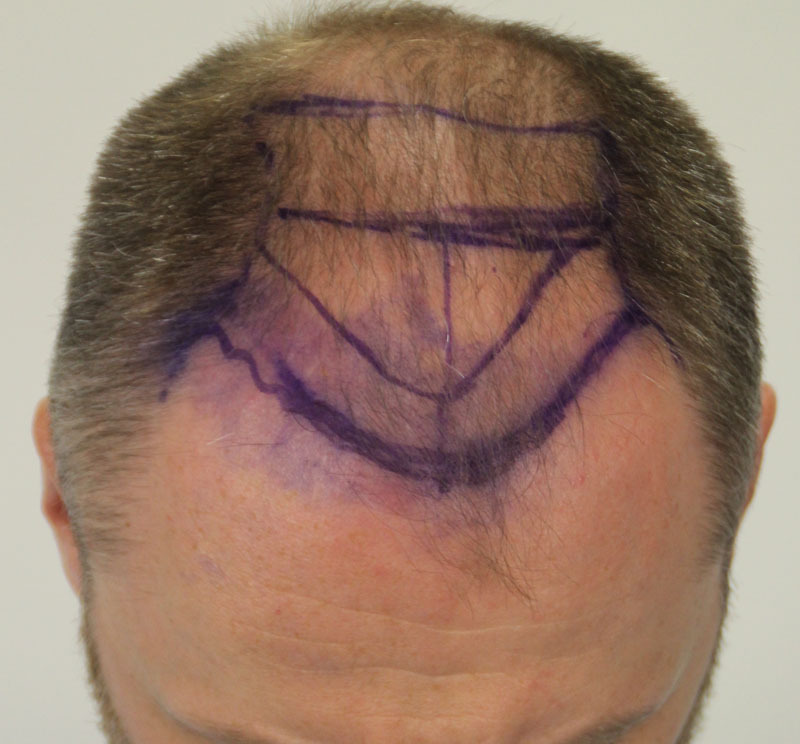 This local patient received 2733 grafts via Rahal FUE in one procedure in mid 2012 to address the frontal zone as this was his primary concern. 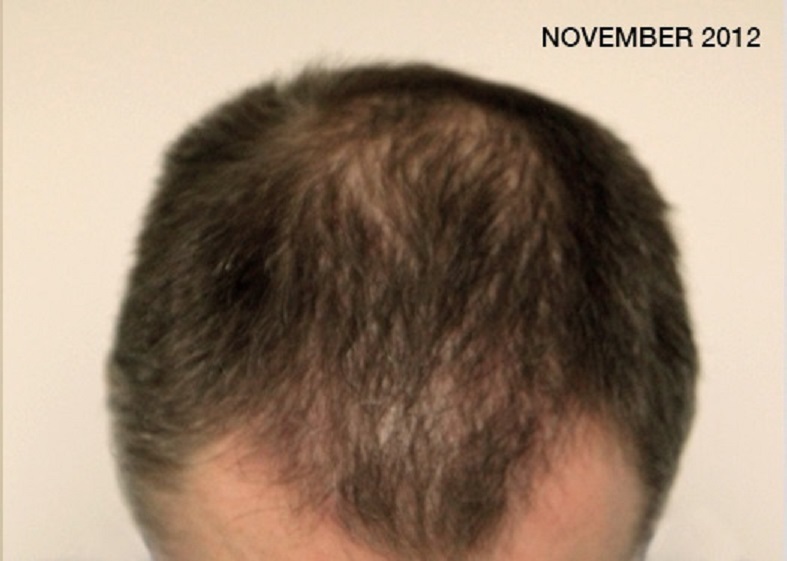 He was started on Rogaine immediately after the procedure with the results shown below being as 12 months post-op. 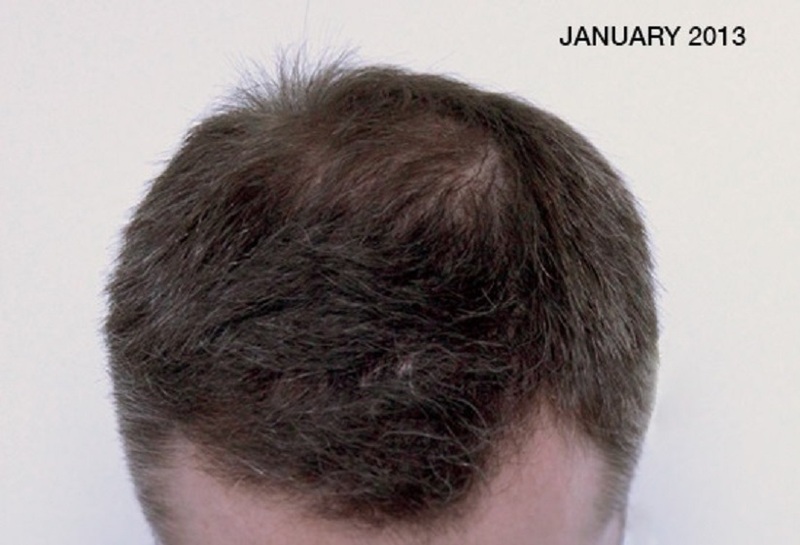 I have a series of images that show the progression over several months for various angles of view. 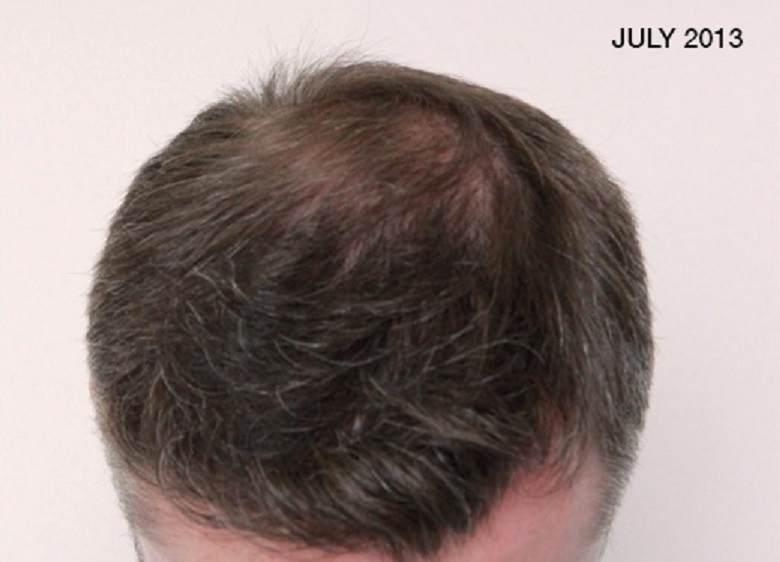 Good for him, NW5 and only needed 2733 grafts for full coverage.